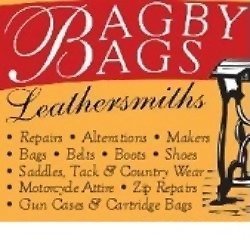 Welcome to Bagbybags Leathersmith Formed upon the ethos of reuse and repair Bagbybags is an established traditional leather workshop that offers insured and guaranteed repair, renovation, customization and manufacture to a vast range of leather items. As dedicated leather craftsmen we offer our skills to a wide ranging customer base and have accomplished many stunning transformations and creations, items ranging from high end designer bags, film set commissions, museum piece restoration, work to an 11th century church, items for the military and the designer boutiques of Chelsea. Equestrian items Saddle and tack repair and renovation, Girth Strap Replacement, Knee Rolls, Tack, Heavy horse items, Professional racing items, Custom made hard to find items, Alterations and repairs, Ridding boot repair and resizing. Motorcycle Items Jackets, Trousers, gloves and full suit repair, alteration and resizing, zip replacement specialist, Panniers repair and manufacture. Shooting and Country Wear Shotgun cases repaired, restoration of antique items, custom made items to order. Cartridge bags repaired, zip replacements to bags and cases and antique museum piece renovations. Everyday Leather Items High end items repaired and restored, handbags, bags, cases, jackets, belts. Specialist in boot and shoe repairs, zip replacements to a vast array of items, stretching and resizing, relining, dyeing, replacement of broken or missing metal hardware. High end items repairs & restorations, handbags, bags, cases, jackets, belts, Specialist in boot and shoe repairs, zip replacements to a vast array of items (every zip imaginable available and we can even get zips especially made), stretching and resizing of shoes and boots (exact calf fitting of boots a specialty), relining, dyeing, replacement of broken or missing metal hardware. Custom made items to order: Bags, handbags and belts using beautiful English and Italian leathers. Equestrian Items Saddle and tack repair and renovation , Girth Strap Replacement, Knee Rolls, Tack, Heavy horse items, Professional racing items, Custom made hard to find items, Alterations and repairs, Ridding boot repair and resizing. Shooting and Country Wear Shotgun cases repaired, restoration of antique items, custom made items to order, Cartridge bags repaired, zip replacements to bags and cases, antique museum piece renovations. Motorcycle Items Jackets, Trousers, gloves and full suit repair, alteration and resizing, zip replacement specialist, Panniers repair and manufacture. This work is carried out to the highest standards using the best materials available, as it’s of a safety critical nature only the very best specialist leather and threads are used, also all work is guaranteed and is fully insured for peace of mind!